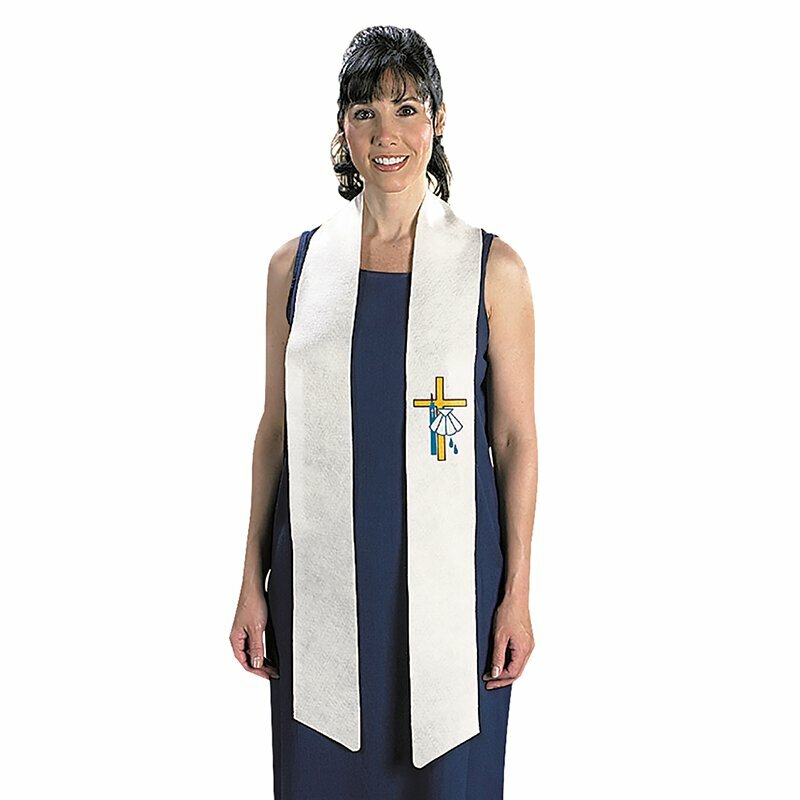 This silk screened felt stole is appropriate for teens and adults to wear during their Baptism ceremony. Each comes individually bagged. Also available in child size (#EC334).